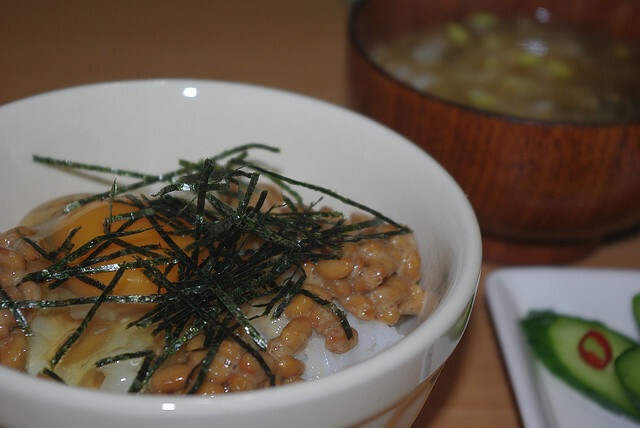 Natto can be the most hated Japanese food overseas, but believe me, it goes well with almost everything such as rice, soba, miso soup and omelette! According to an article I found today, there is an interesting natto specialty company in Japan. This company not only sell wide variety of natto, they also have a special restaurant to serve their natto products. But why they started natto specialty restaurant?? According to an executive of the company, they used to be a natto manufacturer and supplied their natto to hotels in Yamanashi Pref. As their natto earned popularity among hotel users as a one of the best natto in Japan, they decided to have a branch in Tokyo, which serves their lovely natto products in eat-in area. Of course, as they are natto specialty shop, they sell unique natto food such as natto bibimbap, natto shogayaki, and baked natto doughnuts. 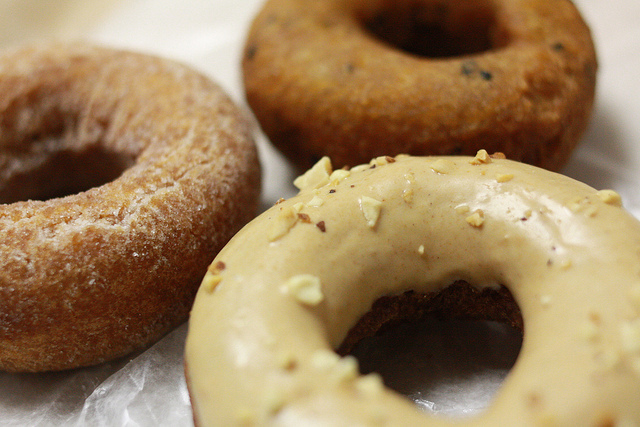 *This is just an image of doughnut, and not an actual picture of natto doughnut. Natto doughnut?? I like natto myself, but I cannot imagine how natto doughnut will taste like?? FYI, the most popular menu in the natto restaurant is all-you-can-eat style natto course, which provides several types of natto including edamame natto and sesami natto. Aww, I would love to try edamame one! It must be so nice o(><)o.